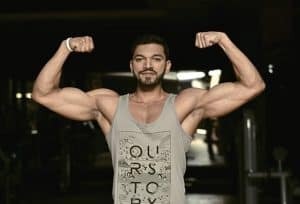 So, you’re looking to develop some decent upper body strength? Great! 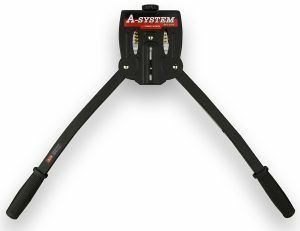 A power twister bar is a relatively inexpensive, specialized piece of equipment that’ll help you achieve that outcome. 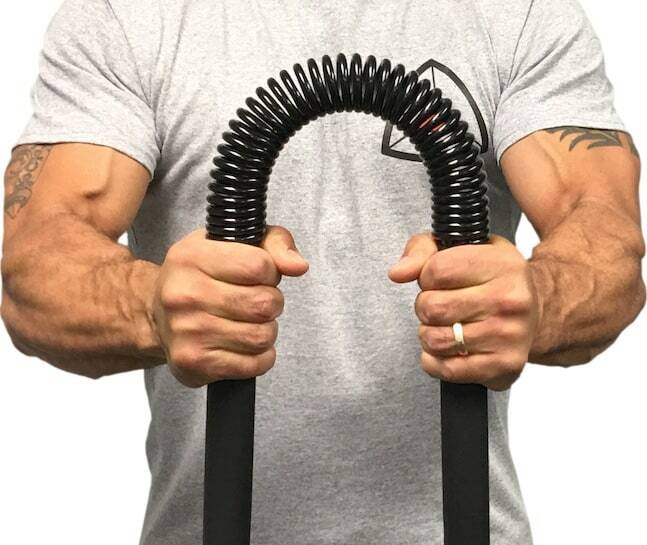 Power twisters are excellent tools for developing size and strength in your chest, back, wrists and forearms, biceps, triceps, and deltoids (shoulder muscles). They’re particularly effective for developing the crush aspect of your grip strength. 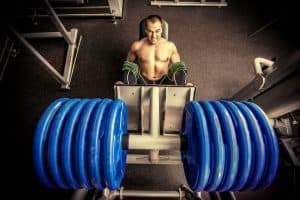 This is important, because your grip is generally the weakest link between you and the loads you try to lift or carry. Therefore, developing your grip strength will lead to improved performance when doing other strength training like weightlifting, as well as when lifting and carrying objects in everyday life. Moreover, at a low resistance level, power twister bars are great tools when rehabbing injuries like Tennis and Golfer’s elbow. The strength they can build should also help to prevent inflammation of the various tendons in your wrists, arms, and torso. But, while many power twister bars look very much the same, they’re not all equal, and this is where we come in. 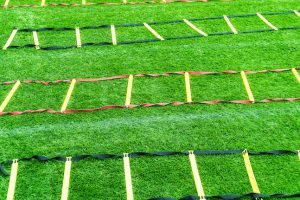 Below, we’ve compiled a list of the 6 best power twister bars for you to use in your home workouts (or wherever else you want), so that you can confidently choose the most effective option for you and your situation. The iHuniu Power Twister Bar is the best traditional power twister bar you’ll find. Made from high-grade carbon steel, with non-slip plastic handgrips this power twister bar comes in a range of 30 kg (66 lb) to 80 kg (176 lb) bars. The iHuniu Power Twister Bar also has an inner safety spring to protect you from injury. As with all power twister bars, make sure you use the attached wrist straps to prevent accidentally injuring yourself. The 30 kg bar will be challenging, even for intermediate users, so these bars are recommended for intermediate to advanced users. The A-system is really an alternative to regular power twister bars. The handles form an ‘A’ shape (hence the name), and are attached to a spring that is housed inside a metal frame. The great thing about this design is that you can adjust the resistance level using a dial on top of the metal frame. The resistance range is 17 – 46 lb, meaning that you can start light and dial up the resistance as you get stronger. This eliminates the need to buy heavier and heavier power twister bars over time, which will save you money over the long-term. This is also a good option if you’re rehabbing an injury, as the lightest resistance setting is relatively easy. The A-System’s resistance mechanism is simple to adjust, works really well and is a good option if you’re looking for something a bit different. It’s most suitable for beginners to intermediate users. With 45lb (20kg) of resistance, this lightweight bar is great for beginners to intermediate users. 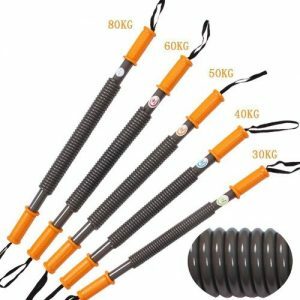 Made from high-grade steel with non-slip plastic handgrips and safety wrist straps, the Sunny Health & Fitness Power Twister is a solid option if you’re looking for a traditional power twister bar. It’s also one of the cheapest on the market. It’s all in the name: “Super Heavy Duty Power Twister Bar”. The Hindawi Power Twister Bars come in 30 kg, 40 kg, 50 kg, 60 kg and 80 kg options, making it suitable for intermediate to advanced users only. HindaWi’s high-quality carbon steel springs, non-slip handgrips and safety straps are all you need for an intense upper body workout. Another good quality traditional power twister bar, the Ader Dynabender range will present a challenge for everyone from beginners to advanced users. The bars range in resistance from 25 to 60 lbs. They feature the usual high-quality steel springs, as well as an inner safety spring. With hard plastic grips and safety straps, the Ader Dynabender rounds out our 5 best power twister bars. There you have it, the 6 best power twister bars for your home workouts! Developing strength in your chest, back, hands and arms will be a piece of cake with these power twister bars. Share any comments or thoughts you have in the comments section below. Best of luck with your home workouts. Remember: When it comes to our health and fitness we can either make the effort or make excuses, but we can’t make both!